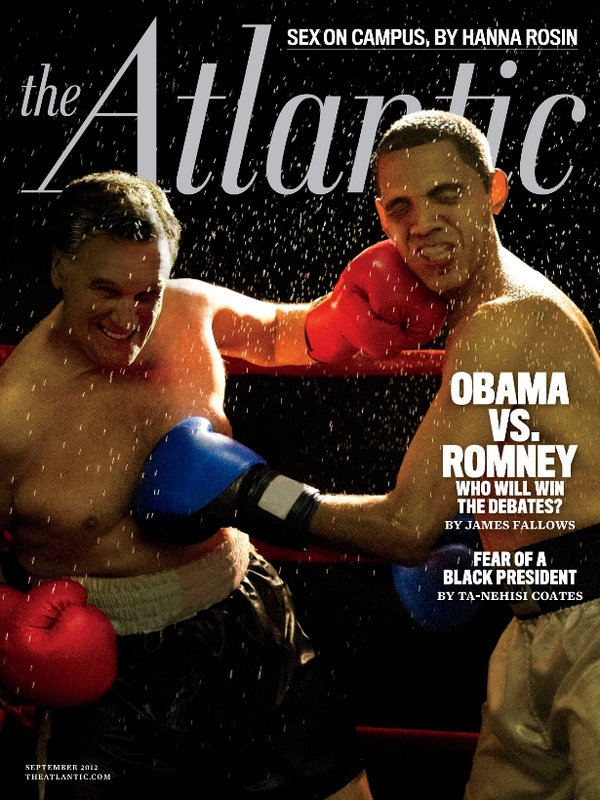 Wouldn’t it be great to see Obama and Romney actually get in the ring? It might make the political circus known as the 2012 election at least feel a little more visceral. Well, next best thing might be to put Louis in the ring with a Mitt Romney impersonator. We filmed it all for the movie – including the Nair – but here’s a recap from Luke Hayman, a partner at the design firm Pentagram. Photographs by Alison Jackson.